The Consolidated Omnibus Budget Reconciliation Act (COBRA) gives workers and their families who lose their health benefits the right to choose to continue group health benefits provided by their group health plan for limited periods of time under certain circumstances such as voluntary or involuntary job loss, reduction in the hours worked, transition between jobs, death, divorce, and other life events. The amount a qualified beneficiary may be required to pay may not exceed 102 percent (or, in the case of an extension of continuation coverage due to a disability, 150 percent) of the cost to the group health plan (including both employer and employee contributions) for coverage of a similarly situated plan participant or beneficiary who is not receiving continuation coverage. 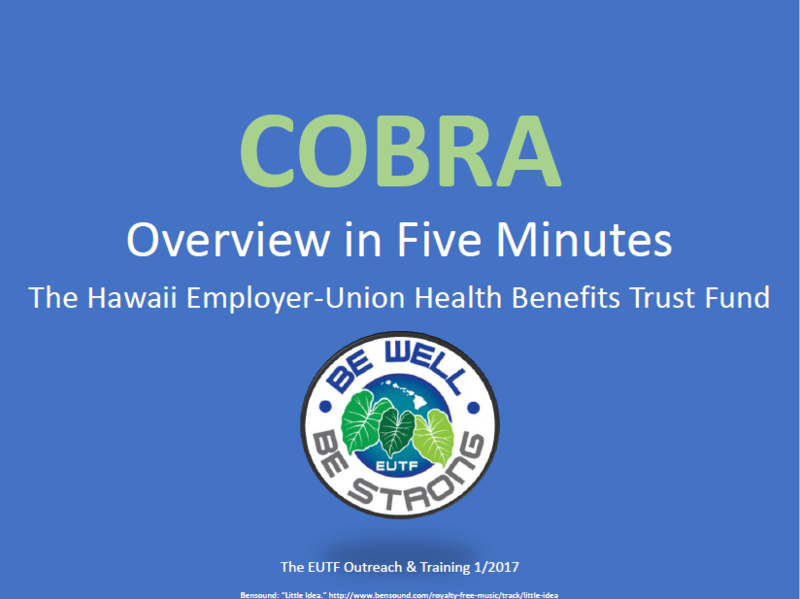 For more information about COBRA, visit the U.S. Department of Labor – COBRA page.